Why not treat your child to the best party venue in town. We can supply all the gaming needed. Available options include: Ben & Jerry’s Ice Cream cakes, Domino’s Pizza, drinks and nibbles to make party planning stress-free. During your visit, your party will be able to enjoy sole use of the Playstation 3, XBox 360 and Wii gaming areas from the comfort of reclining leather couches. 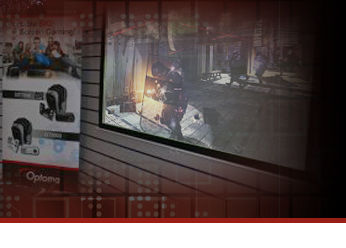 The gaming is projected in High Definition onto massive 92" screens, offering an entirely unique experience in a friendly and safe environment. 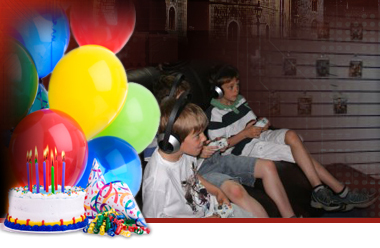 Our staff take care of everything, just sit back, relax and enjoy your child’s birthday. The areas are also available for adults to hire for after hours movie nights, gaming or private parties on a BYO drinks basis. Phone for details or pop in and ask about price and availability.